﻿ Zamorano: "Cristiano Ronaldo is one level above the rest"
09.11.2011 » Zamorano: "Cristiano Ronaldo is one level above the rest"
The former Real Madrid player, Iván Zamorano, talked with realmadrid.com and shared his view on the club's current form. Zamorano praised Cristiano Ronaldo, who he calls a true phenomenon for always making the difference with the goals he scores, during so many seasons. One of the greatest Chilean players of all-time and a former Real Madrid athlete, Iván Zamorano, granted an interview to the club's official website earlier this week. Zamorano was known for having a terrific heading game but he was keen to note that Cristiano Ronaldo has nothing to be jealous for, when analysing that specific part of his game. Zamorano considers that Ronaldo is a level above the competition and predicts that the Portuguese player will keep giving many joys to the "Madridismo". Zamorano played in Real Madrid between 1992 and 1996, having scored a total of 77 goals in 137 matches. In 1995, the Chilean player helped Real Madrid winning the Spanish League, a title that has been escaping the club over the last years. Zamorano believes that Cristiano Ronaldo is the right man to lead the club to similar past glories and doesn't think that there is any other football player in the World as complete as Ronaldo. Zamorano: "Cristiano Ronaldo is a phenomenon. He's definately one level above many others and he's doing a great job at Real Madrid. He's being decisive with the goals he scores. It's not easy to keep such a form for so long and he has been doing it in an impressive way. It's also true that Ronaldo has been more altruistic lately, which is always an important quality for any forward and a team such as Real Madrid." Last weekend, Cristiano Ronaldo scored his first two header goals this season, against Osasuna. Zamorano, a reputed expert on that department, got impressed with the quality of the goals and even compared the Portuguese player heading game with his own. Zamorano: "His goals reminded me a lot of my own headers. He had such an amazing jump in the air and that is just another example that demonstrates how complete he is. Ronaldo is a very powerful player with a greating heading game and I'm sure he'll keep giving many joys to the Madridismo", said the Chilean player, who scored a total of 267 goals in his career. Even though Zamorano doesn't have any official or direct link with Real Madrid anymore, the Chilean player confessed that he still follows every game of his former club and he'll always have great memories from the fans and the joys lived at Real Madrid. 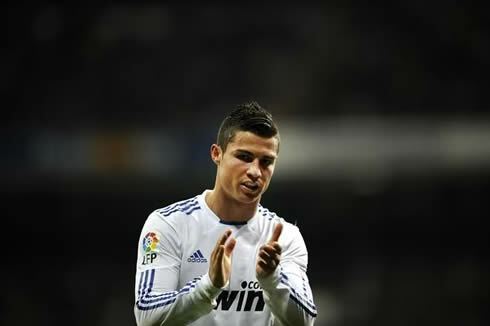 "I still watch every Real Madrid game and I do it in a very passionate way. I have a special admiration towards this club supporters and the friends I left here, which is one of the reasons why I still get very thrilled during the games. Real Madrid is a part of my life and I'm also a part in Madridistas lives. That's something that makes me very happy and proud when I look behind, because it means I did a good job back then", pointed out Zamorano. Besides Zamorano, another true legend in what concerns the heading game has also praised Cristiano Ronaldo recently. Carlos Alonos Santillana played for Real Madrid between 1971 and 1988 and scored 186 goals for the club, in 461 appearences. The Spanish legendary player agrees with Zamorano's opinion and is delighted with Cristiano Ronaldo performances. Santillana: "Cristiano Ronaldo has a tremendous jump and he doesn't even need to be running before doing it. Not only he has a great shot with his feet, he can also head the ball perfectly. Ronaldo doesn't need to anticipate defenders because he can jump very high, unlike me, since I was significantly shorter (1,75m) and always needed to gain position to get my opportunities. 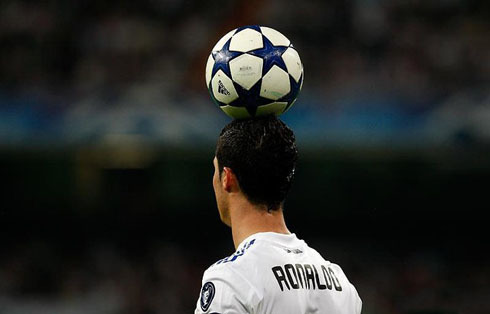 Moreover, Cristiano Ronaldo can hold himself in the air very easily. He's truly an expert! ", said Santillana. Real Madrid will only play against Valencia, for La Liga, on the 19th of November 2011. Cristiano Ronaldo has been training with the Portuguese National Team, in order to prepare the 2-games playoff stage, against Bosnia Herzegovina. You can watch Juventus live stream, the first leg of Bosnia vs Portugal, next Friday, the 11th of November. The 2nd leg will be played in Lisbon, Portugal, in the 15h November of 2011. The winner will qualify for the EURO 2012.